Here is Steven Tanzer's review: "(a blend of his father's and uncle's fruit, the former vinified entirely with whole clusters and the latter destemmed): Medium red. Redcurrant, iron and flowers on the nose. Supple and perfumed in the mouth, delivering good thickness of texture without undue weight. A juicy cranberry flavor is further lifted on the back by good mineral cut. Lovely perfumed Volnay with excellent intensity and length." 91-93 points In stock. Here is Steve Tanzer's review: "(from 2.1 hectares of vines in Santenots du Bas; aged in 25% new heavy-toast Francois Freres barrels; completely destemmed and very lightly punched down during fermentation): Good bright red. Musky aromas of red fruits, tobacco, cocoa powder and underbrush. Rich and full, but with no shortage of energy to the fruit-driven strawberry and raspberry flavors. Very good volume here, and plenty of medicinal reserve on the juicy, palate-staining finish. These grapes have enough tannins to vinify without their stems, noted Rossignol, who carried out two separate vinifications and told me he'd like to do four in the future, before assembling the components for bottling." 92-94 points Here is the Burghound review: "There is a hint of green tea and crushed herb to the beautifully well-layered nose of primarily red berry fruit aromas that are laced with both earth and spice hints. The powerful, concentrated and quite serious medium weight flavors also exude a fine minerality before terminating in an equally complex, driving and very firm finish. This too is a relatively big wine and will likewise require a solid decade of cellar time to realize its full potential. 92/2021+" In stock. Here is the Burghound review: "This is arguably the most elegant wine in the range with airy, cool and highly restrained aromas of pure essence of red pinot fruit, exotic black tea and mineral nuances. There is equally impressive purity to the laser-like middle weight mineral-driven flavors that display stunning, indeed almost painful intensity that continues onto the superbly complex, long and impeccably well balanced finish. This is austere, classy and absolutely textbook Taillepieds. 93/2021+" In stock. Here is the Burghound review: "There is enough wood to notice highlighting the menthol-infused red pinot, dark currant and soft earth tones. There is a lovely sense of generosity to the round, delicious and attractively textured medium-bodied flavors that possess good verve and very fine depth and length on the moderately austere finish. This will need a few years of cellar time before it’s fully ready for prime time but I like the development potential. (89-92)/2018+" In stock. 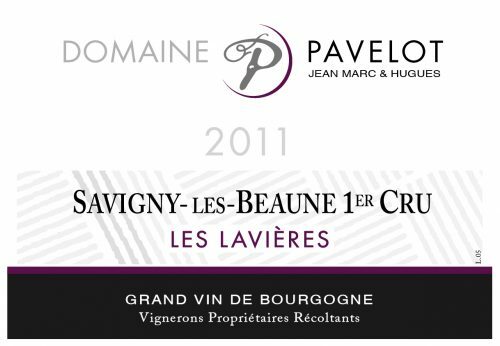 Here is the Burghound review: "(two-thirds of the vines are between 70 and 80 years of age and the remaining vines are approximately 20+ years old). There is stunningly good aromatic complexity to the spicy black cherry, cassis and plum-inflected nose that is trimmed is noticeable wood. Like the Gravains there is outstanding richness and volume to the mouth coating medium-bodied flavors that enjoy a plenitude of dry extract before culminating in a mineral-driven and explosively long finish. This is almost always the best wine and so it is again in 2011 as it possesses the most underlying material as well as the most development potential of any wine in the range though patience will be required. (91-94)/2023+" In stock. 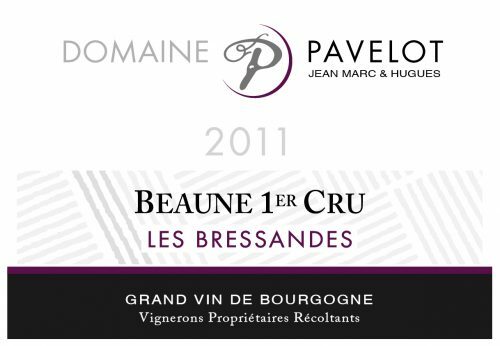 Here is the Burghound review: "(the vineyard is quite stony with very little top soil). Moderate wood influence stops just short of inhibiting the clear expression of the pure extract of dark berry fruit, cassis, earth and sauvage hints. There is excellent richness to the laudably concentrated mid-palate that coats the mouth with dry extract and is given lift from the presence of an almost pungent minerality. This is a relatively powerful Guettes with outstanding depth and length on the mildly austere finish. (90-92)/2019+" In stock. Here is the Burghound review: "A subtle oak treatment allows the distinctly earthy dark berry, plum and wet stone suffused aromas to shine. The stony character is thoroughly reflected by the extremely rich and concentrated middle weight flavors that ooze dry extract that buffers the notably firm tannic spine on the energetic and driving finish. This is more structured than the preceding wines and will require a decade or so of cellaring to realize its full potential. (91-93)/2021+" In stock. Here is the Burghound review: "(this derives mostly from Guetottes, which abuts Les Guettes). 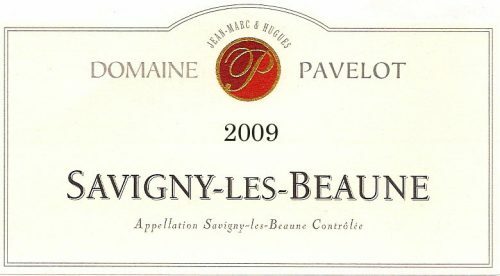 Here the nose is quite similar to that of the Bourgogne save for subtle menthol hints. There is good volume and solid mid-palate concentration to the very round and velvety medium weight flavors that are shaped by ripe and moderately firm tannins that should resolve in short order. This could be enjoyed young but there is enough underlying material to merit a few years of cellar time. (87-89)/2016+" In stock. his is a very deep flavored, single vineyard wine from 80+ year old vines that sit just below the hill of Corton, specifically Corton Bressandes Grand cru. 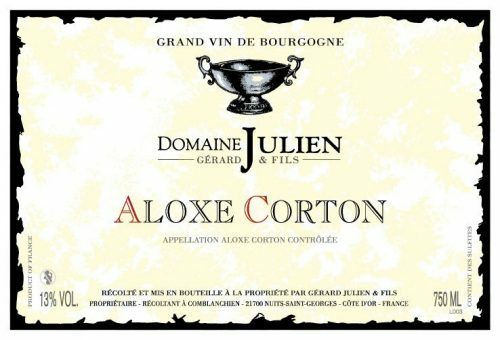 The deep, full, and sturdy qualitites of Aloxe are here in spades, well suited to medium term aging when its small dark red fruited qualities will be complemented by sous-bois savory. 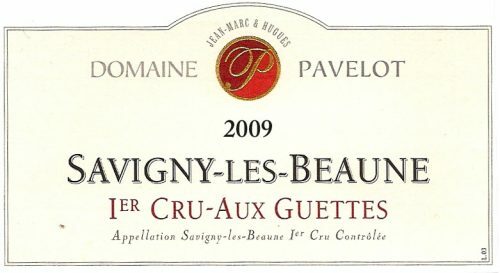 Here is John Gilman's impression: "The 2012 Beaune “Bressandes” from Domaine Pavelot is a very pretty wine, with a ripe and buxom personality that will offer early drinkability. The wide open nose offers up scents of black cherries, dark berries, a touch of currant leaf, dark chocolate, charred wood, a lovely base of soil and a smoky topnote. On the palate the wine is deep, full-bodied, plump and with a nice sense of sappiness at the core, with fairly modest tannins, fine balance and good length and grip on the succulent finish. There is not quite the same precision on the palate evident here as is found in the les Peuillets, but this will be a lovely wine for more near-term consumption. 2017-2035. 89+ points."" In stock. 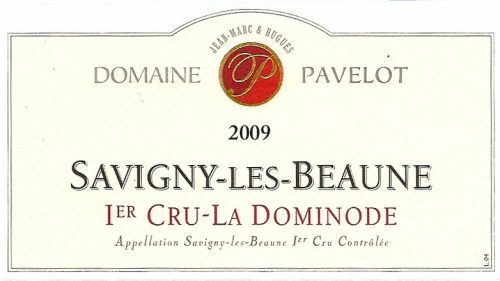 Here is John Gilman''s review: "The 2012 Dominode was a bit more reserved at the time of my visit than the Gravains, but it too showed excellent potential. The deep and primary nose offers up scents of dark berries, cassis, a touch of bonfire, currant leaf, dark soil tones, espresso, a touch of chicory and a nice framing of cedar. On the palate the wine is deep, full-bodied, pure on the attack and tightly-knit, with excellent mid-palate concentration, firm, chewy tannins and a long, focused and tangy finish. This will need time, but it will be a very fine example of the vintage. 2022-2050. 93 points." In stock.